Welch Allyn 3.5 volt nickel-cadmium (NiCAD) rechargeable battery. For use with Welch Allyn power handles. Has button top with side tab. Measures 26mm in diameter and 72mm in height. 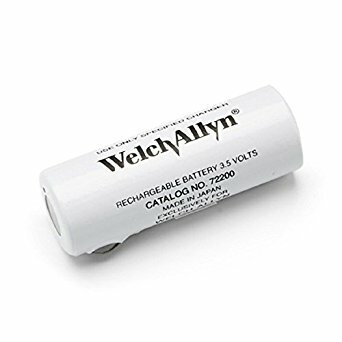 Manufactured by Welch Allyn. Comes as singles.